An organization that believes in sharing our expertise and providing right personal safety products and industrial equipment at the right price with integrity and honesty. Schefferville’s range of products include the biggest names in the PPE field, like TAG-IT [high quality LOTO solutions], FireWarrior [our flame retardant workwear], Hunk [foot protection], ORYX [work-wear and head protection], EYEVEX [eye-wear, hand-protection and first-aid solutions] that are known and trusted by HSE professionals. We support our distributors and dealers alike by giving ergonomic products, best service, with excellent after sales services. We reach out our products to all regions of the United Arab Emirates (Abu Dhabi, Dubai, Sharjah, Ajman, Ras Al Khaimah, Umm Al Quwain, Fujairah and Al Ain) and also to all GCC Countries. 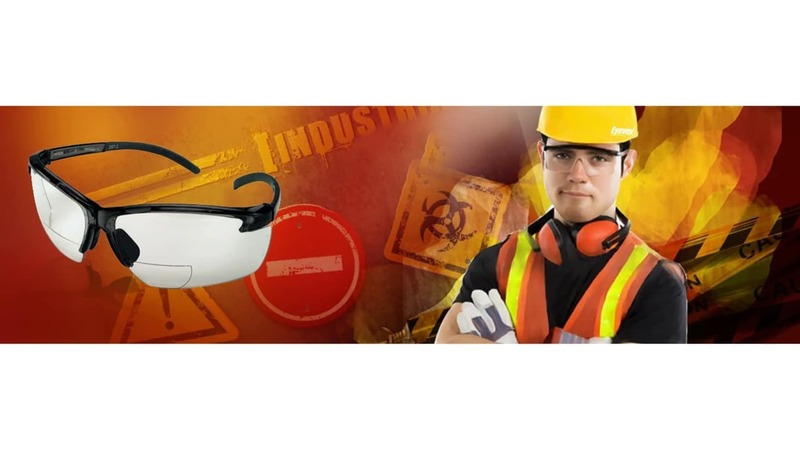 Eyevex - believes in providing personnel protective equipment (Safety Products) under one roof. Our safety products are certified and manufactured by an ISO certified factories using innovative designs with the latest technology. Our Range of Personal Protective Eqipment: Safety Spectacles | Chemical Goggles | Respirators | Safety Helmet | Welding Protection |Safety Face Protection | Ear Protection | Welding Work Wear | Hand Protection | Foot Protection | Fire Blankets with PVC Cover | First Aid Kit | Eye Wash Station | Work Wear | Road Safety | Intrinsically Safe Flashlight | Hand Pallet Truck | Safety Shoes | Coveralls | Chemical Spill Kit | Safety Mask | Safety Gloves | Safety Ear Plug of all major International brands. From the house of Schefferville Trading LLC, believes in sharing our expertise in creating solutions and providing a wide range of Personal Protective Equipment that exceeds the expectations of our consumers. Today, our brands are recognized in the market by the quality & standards with the latest style & high comfort, being achieved through a strong market research. Each and every product of ours has been expertly assessed for the safety of our consumers and conforms to the latest international safety standards.